Oxygenated cells are one of our best defenses against the growth of cancer in our bodies. But is all water created equally? Unfortunately, the answer is no. That’s why when we heard about Ophora water, we couldn’t have been more pleased. Ophora water set out to enhance the healing properties of water that are unfortunately not optimal in regular drinking water. You may or may not be aware, but our municipal water delivery systems are overburdened with difficult-to-remove chemicals, pesticides, pharmaceuticals, and trace hormones. 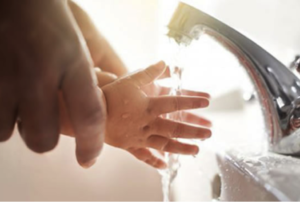 What’s more is that to meet federal water standards, they must add chlorine, ammonia, and other substances that often contribute to and aggravate chronic illnesses. We have more than polluted our water, we have changed its very nature and removed its life giving properties to cleanse, nourish and heal. Aside from our water sources, our atmosphere itself used to be at 26% oxygen. Today, it’s at 21%. And our oceans are also down 2% from what they used to be. Did you know that oxygen generates about 90% of our body’s available energy? Wouldn’t you want your water to help you meet those energy goals for a thriving foundation of health? Ophora ultra-purifies source water to restore its life-giving properties to cleanse, nourish and help to heal the human body. Their Hyper-Oxygenated water is a unique advancement in Water for Wellness that, by increasing the oxygen content of the blood and tissues, allows oxygen to be more easily utilized by the mitochondria in our cells. Their water is pH balanced to 8.0-8.5, and contains the highest level of oxygenated water in the marketplace. Whereas Kaqun water of tests at 14 parts per million oxygenation. Ophora is certified at double this at 30.1 parts per million! Others waters we have tested have little to no stabilized oxygen. There are many conditions that result from decreased oxygen in our cells and tissues, including cancer. Virus and bacteria cannot exist in an oxygen rich environment. Not to mention, others increased fat burning when our cells have higher levels of oxygen. Faster recovery from Pre and post surgery. Not to mention, boosts energy levels and enhances immunity. This is why I am pleased to announce that Whole Life Health MD will now be carrying Ophora water.